This private mentoring program is best when you’re ready to commit to deep, sustained inner work and change some of the external patterns and behaviors that no longer serve you. Over the years, my clients have had tremendous, long-term results from six to 12 months of regular weekly mentoring sessions. 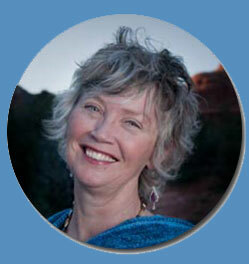 I came to Melanie expecting standard guidance, but instead found her insight and wisdom led me to rethink my path. I was not truly happy with the direction I was heading, but it was Melanie’s patient, skillful questioning that turned my life around. Her kind and thoughtful guidance has changed so much for me. I can say that I truly love what I am pursuing, and I’m not sure I could have arrived there with anyone else. I am truly grateful to have met someone as tuned in to the community and to her clients as Melanie is. Private mentoring is best for folks who are tired of feeling confused and anxious, and beyond fed up with wasting more time. It’s for you if you’re ready invest in your future. and keeps you connected with your best self, and the people and activities you love. You’ll have the luxury of weekly sessions with a compassionate accountability partner who’s highly trained to parse out the unfinished psychological/spiritual/emotional business that’s waiting to be cleaned up so you can move ahead. You’ll do some deep diving, break through some old demons and dragons, and integrate and implement long-term positive changes. You’ll be working with a highly trained professional who’s got many years of experience with business, personal finances, developing and maintaining healthy relationships with yourself and others, and dealing with the inevitable intensity of life. You’ll process subconscious self-sabotaging behaviors, explore false beliefs that may be holding you back, and have enough time to integrate and internalize all sorts of new techniques including CBT, simple mindfulness practices, potent creative projects, and so much more! Throughout our time working together, I’ll design creative projects, provide the most current research findings, and teach you techniques unique to your situation, and your dreams. in a loving, supportive nurturing relationship for the first time in her life, she worked hard to understand the difference between giving herself away to men who just didn’t get it, and being loved for her full brilliance by an equal partner.